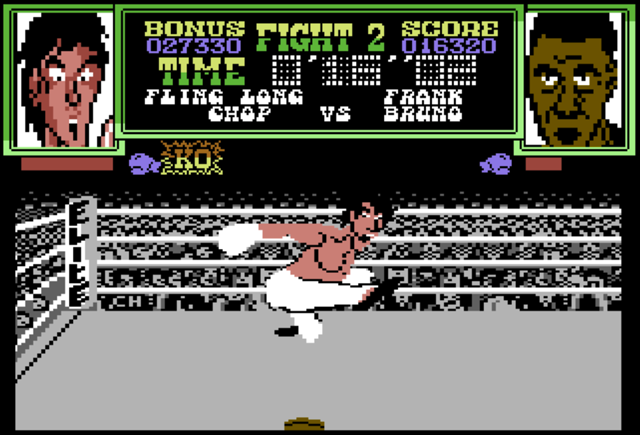 Hokuto Force have added a nice trainer system in the style of a TV Ceefax Menu for Elite Software's Frank Bruno's Boxing. 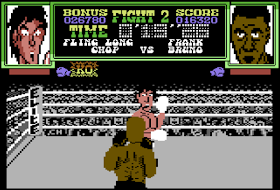 This was a pretty average boxing game from 1985, and clearly ripped off clone of Nintendo's Punch Out which at the time was only available in the arcades. There are quite a few extra options including unlimited health bar, No knock outs, Always full KO bar, unlimited time. 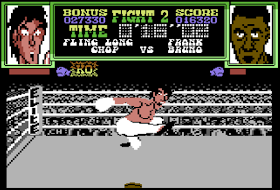 The game features 8 computer controlled opponents, with unique fighting styles. You will win the game by beating all 8, but you get to retry any lost bouts as many times as you like. Loading each new character requires you to enter a code which is linked to the name you give your fighter at the beginning of the game. The sprites are large and colourful, have a wide variety of animations, but are also quite blocky and glitchy at times. 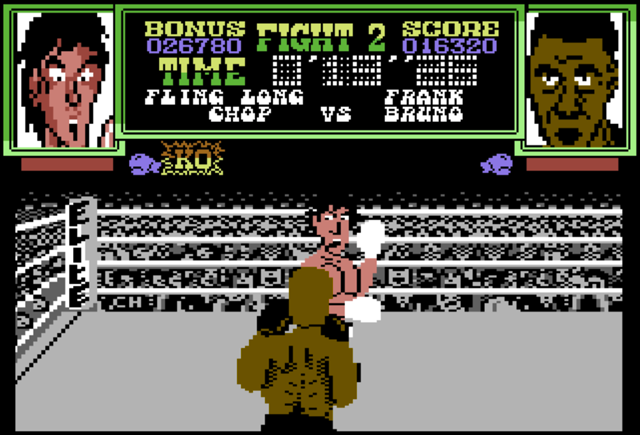 Chris Harvey, who worked on the graphics, explained on Lemon 64, that the player sprite was originally a large green wireframe outline, like on Punch Out: " The boxer was originally the same Green wireframe as Punch out (and looked AWESOME) but then Elite (flush with Aiirwolf money and the fact they only paid us 45 quid a week) got the Frank Bruno license, so I had to go back in and add a lot of brown." 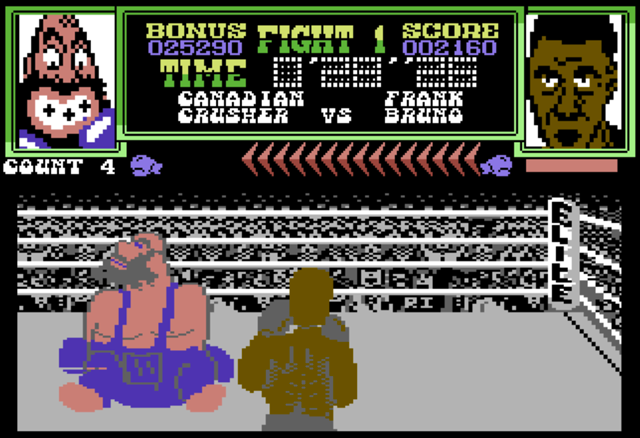 He also explains that some MPs heard about the computer fighters' names (Such as "Frenchie" and "Fling Long Chop") and said that the game was racist on Prime Minister's Question Time! 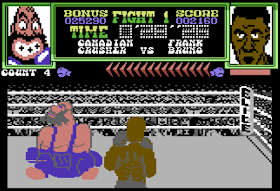 I'd recommend this rerelease to fans of Punch Out, or to anyone who had game in the past, frustrated by its difficulty and wants to see all the fighters with the help of the training modes.